Many of us enter a profession by choosing a particular major in college, perhaps earning an advanced degree, and eventually searching for and finding a job relevant to our interests and qualifications. 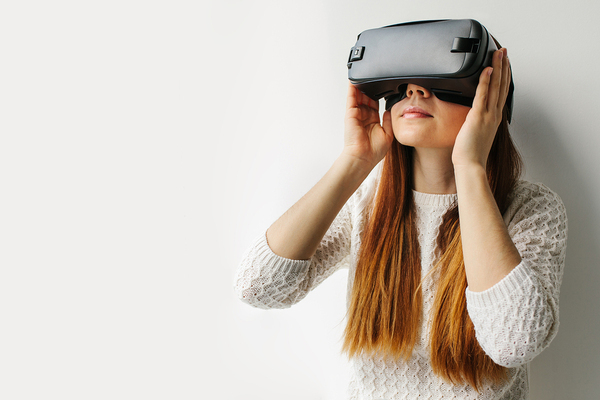 Career aspirations may start at a young age, but things don’t always proceed as we imagined. It sounds simple, but most people who have been there know that it’s anything but simple. Rarely does the ideal job opportunity that perfectly matches our qualifications, interests, and other preferences (like location, work hours, or working environment) show up at the exact time we need it. 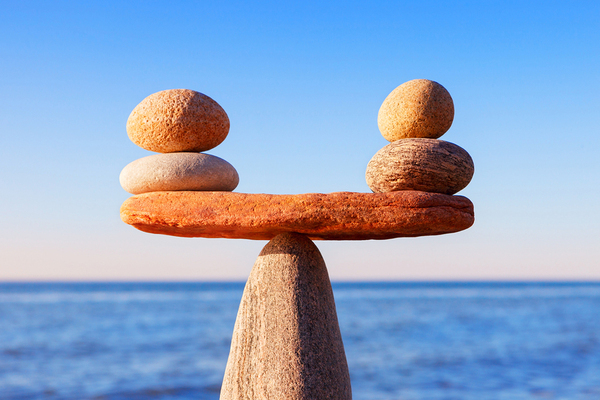 Compromise is a common thread running through many people’s careers because they believe they will have to give up something in order to have the overall life quality they want. And while insisting that a job offer check every last box on a checklist of desirability is a sure path to long stretches of unemployment, it’s not always healthy to take a job just because it’s a paycheck. Grappling with this balancing act is part of many professionals’ lives, in just about any stage of their career. 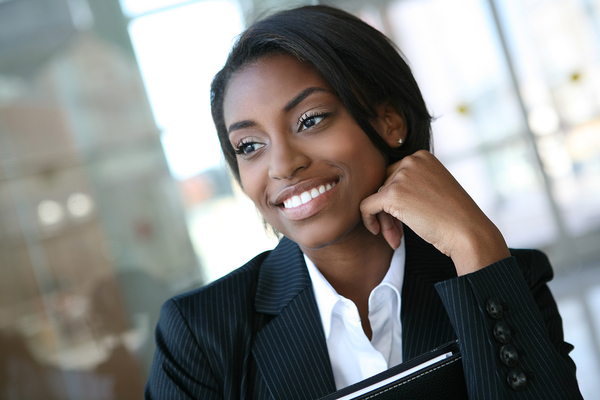 Career coaches can be terrific resources for those at career crossroads. But they can also be great resources for people who are happy with their jobs and want to make the most of their advancement opportunities. Here is what you should know about career coaching, and how it has the potential to improve your career and your life, no matter what stage of your career you’re in now. 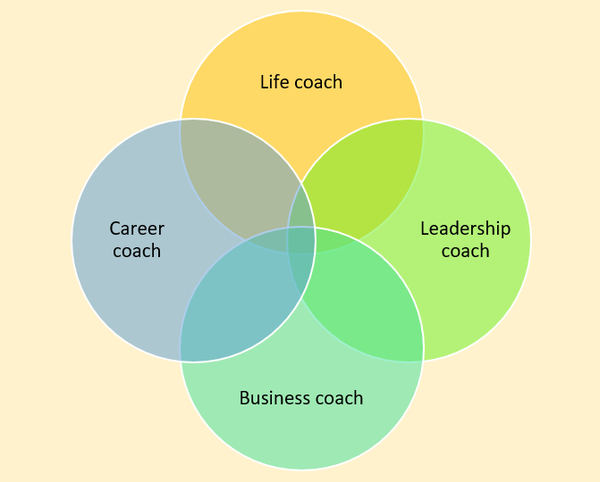 What Do Career Coaches Do? Most of us naturally turn to friends and family as sounding boards for job issues, but their utility is limited at best. 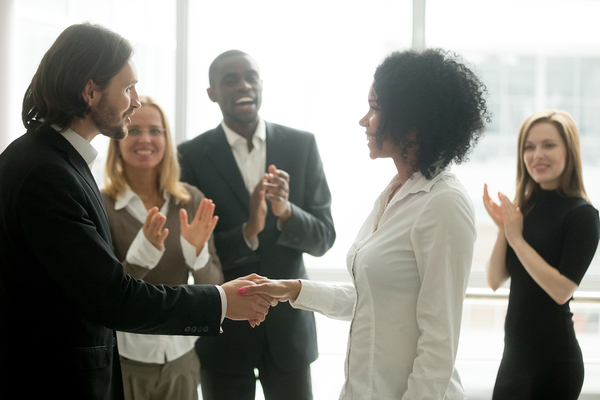 While it’s great to have someone to whom you can kvetch after a particularly grueling week, getting and keeping your career on track requires something more – something that can be provided by the right career coach. Career coaches help guide their clients through many different kinds of milestones, like going back to school, adjusting career track, getting back into a career after taking time out to raise children, or suddenly being made into a team leader. Career coaches can also help clients prepare for situations like raise and promotion negotiations, and to know when it’s time to look to different employers for new opportunities. These aren’t the only reasons people enlist the services of career coaches, so career coaching may be appropriate for you whether or not your situation matches one of the ones listed. 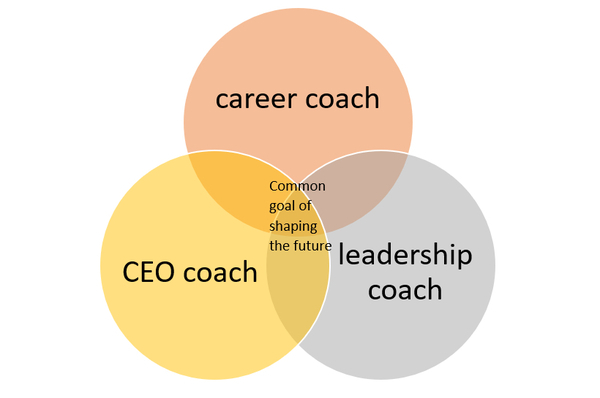 How Do Career Coaches Differ from CEO Coaches and Leadership Coaches? CEO coaches and leadership coaches typically provide their services for a smaller subset of the professional population. CEO coaches tend to work with C-level executives: CEOs, CIOs, CMOs, and others at the very top of the organizational chart. Top-level executives have different priorities and pressures than even the highest-level journeyman engineers, accountants, or nurses. Leadership coaches, similarly, work with clients who are taking on leadership responsibilities, often from having been “in the trenches” designing safety equipment, producing annual financial reports, or creating sales or marketing campaigns. While becoming a team leader in such a situation still requires in-depth knowledge of the various “how-tos” related to the job, it also requires leadership skills, which are skills just like any other, in that they need to be learned and practiced in order to be effective. Career coaches, CEO coaches, and leadership coaches have some things in common. 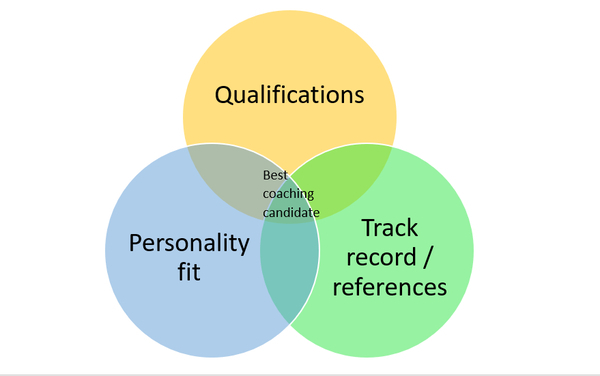 A career coach may help a professional at any stage of their career. Someone three or five years into their career may wonder if the time is right to earn a post-graduate degree, and a career coach can help with that thought and planning process. The 40-year-old faced with relocating because of a spouse’s career wants to maximize their opportunities at the new location, and the career coach can help here too. 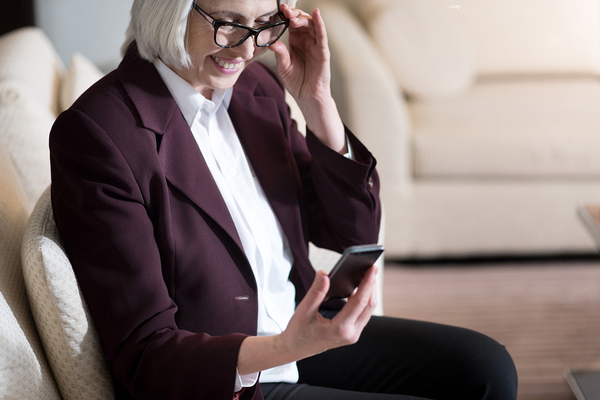 Someone within a decade of retirement may want to plan the best way to wind down a career and develop a way to do consulting part-time after retirement. A career coach can help with this as well. Those first few years as a professional in a given field are unlike others. It’s an exciting time for sure, but it also requires learning far more than just how to do the job. People new to a profession are also busy learning who is responsible for what, how the career and promotion ladder works, which manager has which management style, and much more. Sometimes, a person with a couple of years under their belt may wonder if they’ve chosen the right profession at all. In many cases, these types of career woes can be addressed with the right career plan, and the career coach can help their early-career clients develop one. The early-career professional who loves what they do, but doesn’t feel like a good fit with a particular employer may wonder if looking elsewhere is a good idea. Or they may wonder if starting their own professional practice is worthwhile. While family and friends should certainly be ready to listen and respond to these issues, a career coach is ready to be realistic and frame the situation from a unique, more impartial perspective that can be amazingly valuable. Many parts of life are typically in high gear for people who are in the middle phase of their career. They’ve established themselves and perhaps received promotions and raises, and they may have a lot going on outside the workplace as well, with children growing up and needing time and attention, and maybe a home that needs to be maintained, as well as friendships that may be harder to keep up as families go about their busy lives. The career coach, of course, helps clients focus on the professional dimension of their lives, but this can often have positive effects that carry over into other, non-work environments too. A mid-career professional who is miserable at the prospect of being bypassed by others in their career trajectory will naturally carry some of that home with them at the end of the day. Again, the career coach offers the removed, yet empathetic perspective that can help the mid-career professional develop a strategy to direct their career during this challenging phase. The strategy may involve making their existing work more visible to management or asking for new responsibilities (or a new job title), or it may involve looking for a new employer – a process that is different for the established professional than it is for someone just starting out. Changes in the American economy have affected professionals well into the latter years of their careers. The Great Recession of ten years ago had many people who were approaching the last phase of their careers lose their jobs, or lose their chances at plum promotions. Many older workers found themselves having to change careers altogether, or having to create their own careers in the new gig economy. Career coaching for the person in the last decade or so of their professional life can make the difference between slogging on until retirement mercifully arrives while figuring out how to compete with workers half their age, and developing a professional plan that preserves what’s best about their existing career while being prepared for potential obstacles. Perhaps more so than with CEO coaches or leadership coaches, the career coach has a keen understanding of a professional’s personality, dreams, and disappointments, and knows how to make use of all of these to create an actionable plan going forward. That’s valuable no matter what stage a person’s career is at. 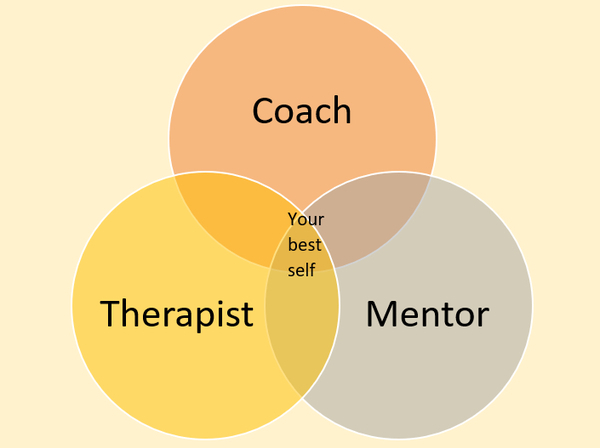 Career coaching may be appropriate at any career stage. 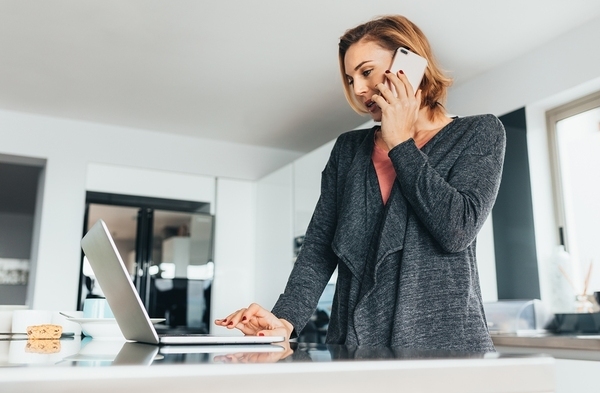 Calling oneself a “career coach” and hanging out a shingle is something many people have tried, regardless of their qualifications or aspirations. There’s nothing stopping a person from doing it, and fortunately for people seeking career coaches, such fly-by-night coaching services usually don’t stick around long enough to snag very many vulnerable clients. It’s not easy vetting the qualifications of someone calling themselves a career coach. 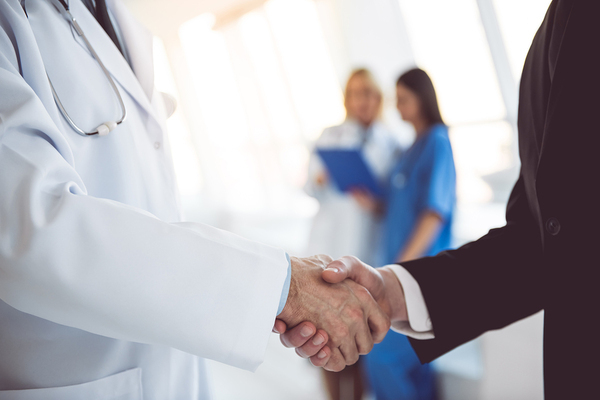 When you hire a lawyer, you can make sure they are licensed to practice, and the same is true of contractors, hair stylists, and medical practitioners. The same isn’t true with career coaches, although there are career coach training programs available. The good news is that it’s far easier now than it was a decade ago to learn about the qualifications of someone advertising themselves as a career coach because of the internet. 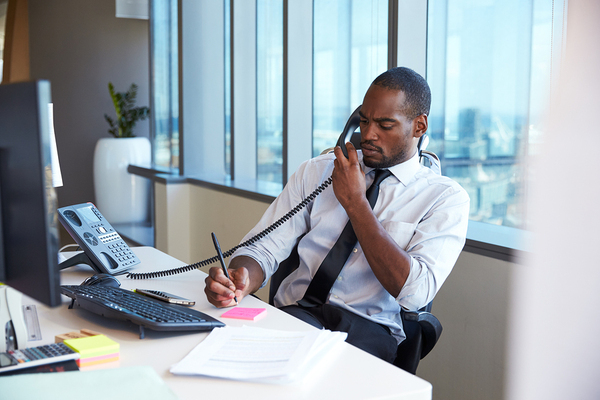 In the old days, you may have to meet by phone or in person to determine whether a career coach was qualified, and then follow up with references they provided. This is still the smart thing to do, but you also have access to numerous online resources. 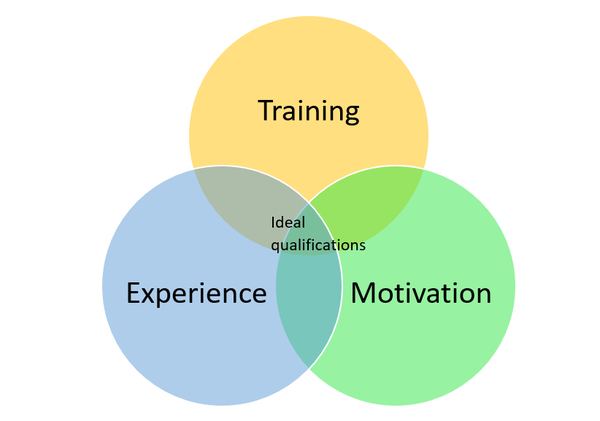 Don’t compromise when it comes to the fundamental qualifications you expect from a career coach. The first steps to choosing a career coach are knowing when you need to reach out to one and knowing what your goals are. 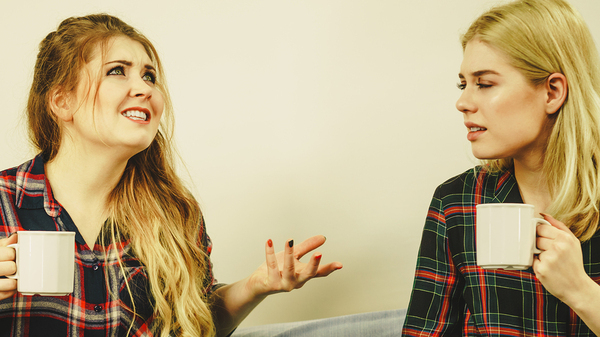 “When to reach out” can be tricky. It’s best to reach out before you have reached critical mass and have either lost your job or are an inch away from quitting. Ideally, you should reach out as soon as you realize you’ve gone off-track, but it’s not always to tell whether you’ve gone off-track or have just had a couple of bad weeks. Persistent feelings of disappointment with work that you can’t tie to a specific event, like an end-of-year push, or an interaction with a particularly difficult customer, are indications that talking to a career coach could be a good idea. Likewise, if you don’t have a clue where you want your career to go – you’re just miserable all the time the way things are – then you may not be in the best position to use a career coach’s services optimally. Think about your career goals and aspirations. If you could wave a magic wand that would put you in your dream career, what would that dream career look like? Maybe it looks just like your career does now, except you earn 50% more than what you do. If so, a career coach may be able to help you learn to negotiate a raise (or a new job elsewhere). Many different types of career coaching “packages” are available, so it’s impossible to say exactly what you can expect. However, there are commonalities among strong career coaching relationships. First, you should expect an initial “intake” meeting where you talk about the services you will receive, what you can expect from your coach, and what your coach will expect from you. At this time, your coach will probably explain how much one-on-one time you’ll spend with your coach, and how and when it’s OK to contact them with questions or updates. Even before your first phone or in-person contact with your coach, you may receive via email a list of questions, or perhaps an assessment of some kind to help your coach understand you better at the first meeting. 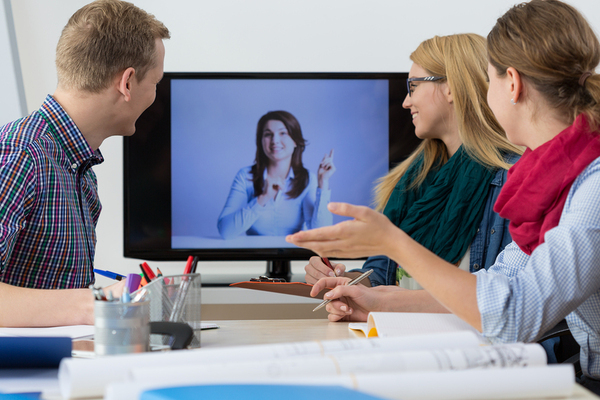 When you have a scheduled meeting with your coach (whether by phone, in person, by video conference, chat, etc. ), you should expect their full attention. After all, that’s what you’re paying for. 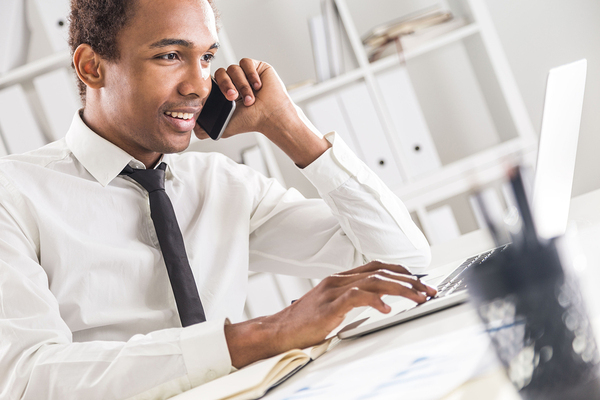 Expect regular one-on-one communication with your career coach. Expect to have homework and to discuss that homework at your next meeting. You should also expect honest, constructive feedback. Your coach may have you set clear objectives, like meeting with a senior staff member to talk about your career aspirations and learn from their experience before your next coaching session. You would then talk about this experience and learn what you can from it. As your coaching relationship comes to its conclusion, your coach will likely solicit feedback from you that will help both of you going forward. Your coach may ask which of your personality traits you had to draw on to complete your objectives, or what you wish you could tell your pre-coached self. And you may be asked for feedback on what specifically about the coaching setup worked well and what could have worked better. At this point, you may set up a follow-up call for a few months in the future, so your coach can check in with you on longer-term progress. 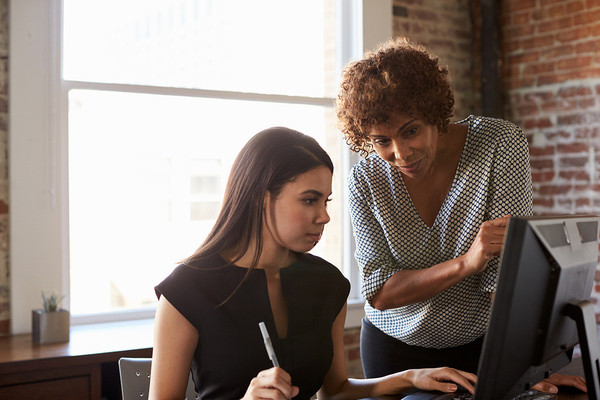 Three keys to making the most of a career coaching relationship include knowing when it’s time to seek career coaching, choosing a career coach carefully, and committing to doing the homework and really listening to your coach. As mentioned before, it’s not ideal to wait until your professional life has imploded before reaching out to a career coach. It’s best to recognize the signs of a career that could derail and reach out before that can happen. Choosing the right coach will probably require that you engage with several, probably starting online. From there, you can narrow down your search to the two or three that seem to have the best “fit” for your personality and the best qualifications. Then you can speak to each in more depth before making your decision. Finally, if you’re committed to the process of career coaching, you’re halfway to success. Coaching is a two-way street, and your coach can’t magically make your career better without your active participation. For professionals in any career stage, career coaching can be a way to better manage and direct their future, and make sure their career works as well as possible within their overarching life goals. While leadership coaching and CEO coaching tend to be more targeted than career coaching, the end results are similar: professionals who are more competent and confident, and who are more capable of fulfilling goals. Whatever your career stage or aspirations, I invite you to check out my executive coaching services. Whether or not you choose to follow up with me, you’ll find access to valuable career resources that can help you take charge of your bright future. Late career – the last decade or so before retirement, when a professional considers their professional legacy, and how they envision their career winding down, whether they will continue working part-time after retirement, etc. Leadership coaching as a concept usually provokes thoughts of newly appointed C-level executives who want to maximize their effectiveness without the trial and error that may take place in the absence of coaching. But leadership coaching is often sought by companies undergoing major changes, whether or not the occupants of the executive suite remain the same. Change management is important so that employees, motivation, and the positive aspects of a business remain in place or are strengthened while important changes take place to regular operations. Sometimes change management is directed at major technological upgrades, or it may be employed when a company enters a new market. What companies look for when they employ the services of a coach for change management is practical guidance. It’s not the same as what consultants provide – plans and suggestions for maximizing profitability, for example. Rather, it is the kind of shepherding that can only be provided by a coach who knows the value of leadership coaching in the context of organizational change. Here are five leadership coaching tips for times of change. Leadership coaching during times of change may not be the one-on-one relationship that typical executive coaching provides. Instead, the coach may work with multiple change agents in the organization, including mid-level and frontline managers, shift supervisors, and others. For change to proceed at the right pace and to achieve the right goals, it must be supported by all levels of the organization, and the right coach knows how to bring out the natural leadership qualities of all change agents. It’s easy to make the mistake of thinking that the new equipment one department is installing only affects that department. In fact, change in any self-contained department will spill over to other departments, and possibly to the entire organization. Therefore, it’s important that everyone is kept apprised of what is going on, why it’s happening, and what benefits they can expect once the change has been completed. 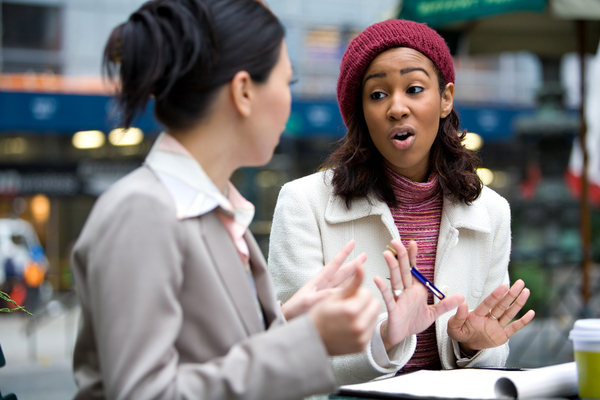 Empathy and real listening are powerful tools for coping with organizational change. 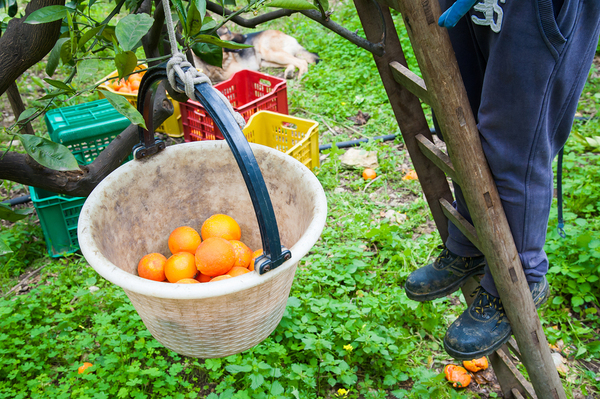 Even the most planned-for, carefully executed organizational change can be tough. That’s why it’s important for the leadership coaching professional called in during a time of change to help clients develop listening skills and empathy. Many prejudices and assumptions can be destroyed by the simple act of listening and putting oneself in another’s shoes. Not all complaints will be significant or make much difference, but everyone affected needs to know that they are heard. Individuals and teams get used to a “normal” level of ambiguity and uncertainty in their work. In some organizations, predictability is the norm, and anything out of the ordinary is noticed by all. In others (such as hospital emergency departments) “normal” is anything but predictable. Yet whatever baseline level of predictability an organization is used to, the addition of further change will shake things up. Effective leadership coaching helps people develop their ability to get things done when uncertainty is at a higher level than usual. If a new piece of equipment is installed in a manufacturing line, the people who use that equipment are the most obviously affected by the change. They may feel the pressure more than anyone else, and that’s to be expected. While the coach can’t make that pressure go away, he or she can help everyone affected by the change to focus not only on the impact it has on their own situation, but on the big picture, and how the change is designed to improve operations overall. It’s important to keep an eye on the prize, so to speak. Leadership coaching isn’t always called upon to help a new CEO hit the ground running. Sometimes it is used to facilitate a smoother transition when major organizational changes are planned. Change necessarily involves disruption and upheaval, but with leadership coaching, the purpose and end game of that disruption remains in the forefront of everyone’s minds. We’re used to thinking of coaches in terms of athletics, and that can help us understand what coaching is all about, whether we’re talking about the coach of a sports team, a singer’s opera coach, an actor’s dialog coach, or an executive coach. Coaches teach skills and help people perfect them. They motivate people, hold their hand on occasion, and give them a metaphorical kick when they need it. A coach lets their charges know what is possible, and what a person must do to get there. 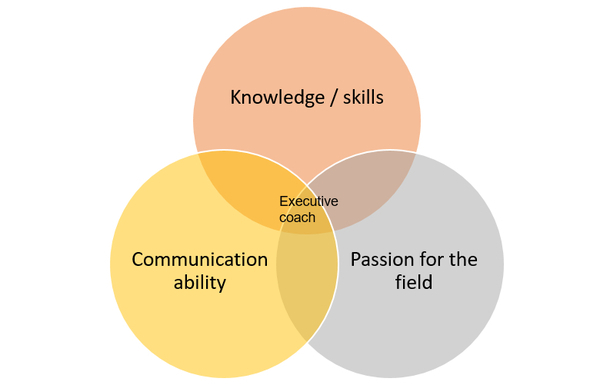 Executive coaches must have knowledge, passion, and outstanding communication skills. When we try to take on major new responsibilities on our own, we may have tremendous drive and energy, but without a coach, we tend to expend our energy haphazardly, with more trial and error than is strictly necessary. With the help of a coach, we can focus our energies in ways that are likelier to get results, and avoid wasting time learning wrong or inefficient techniques. It isn’t as if there’s no room for mistakes when working with a coach. The best coaches, in fact, look at mistakes as tremendous learning opportunities. But when we work with a coach, we’re less likely to have to undo prior learning and relearn skills from scratch. We’re also more likely to learn what our greatest strengths are and how to make the most of them. That kind of knowledge is extremely difficult to acquire on one’s own, and that’s why people at the top of their game, whether the “game” is singing an aria, swinging a tennis racquet, or running a business, look to coaches for assistance. An executive coach works with people at the top leadership levels of business and other organizations to improve their performance. When a company names a new CEO, vice president for operations, or other top executive, they do so because they expect that person to accomplish certain goals during their tenure. A celebrity CEO may make shareholders temporarily enthusiastic, but the long-term health of the business depends on looking beyond this quarter’s earnings, and the CEO who is a true leader wants to lay the groundwork for long-term success. The executive coach takes in as much information as possible about a client’s history, qualifications, and ideals, observes that person in action, speaks with colleagues, direct reports, and superiors, and develops an overall picture of their values, their strengths, and their weaknesses. Through various assessment techniques and extensive discussion of values and goals with the client, the executive coach helps the client define where they want to be as a leader, where they are now, and how to bridge the gap between the two. To this end, they may work on specific skills, like delegation or presentation skills, and will track progress throughout the coaching relationship. Only rarely is the executive coach hired to turn around a “problem” executive, or to attempt to prepare someone who is not ready for their responsibilities. Today, executive coaches work with the best and help them improve further. The coach must be prepared to learn, adapt, teach, and practice skills with their client, because their own success depends on their clients’ success. How Does an Executive Coach Provide Services? Although some companies have internal personnel that provide coaching services, executive coaches are usually brought in from outside the organization. There are many reasons for doing it this way. An outsider can often develop a more objective and comprehensive view of an executive and their role in an organization than someone embedded in the organization can. Outsiders don’t have the fear of getting on the wrong side of a client or company leadership, and so is able to be more candid and forthright with the client. If a harsh truth needs to be communicated to a client, the outsider coach knows how to do this with tact, and without minimizing the importance of the situation. 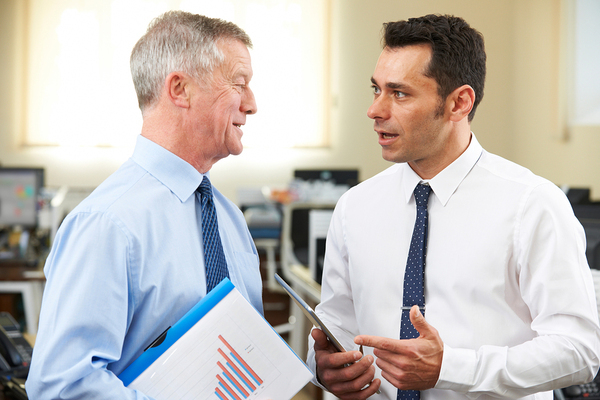 An executive coach enters a coaching relationship in learning mode. Who is the client? What are their values? What does the organization expect from them? What are their strengths and weaknesses? Who will this person be managing? What do those people think of their leader? Before an executive coach can help the client create a plan of action, they must thoroughly understand both the client and the client’s environment. Along with the client, the coach develops a plan, defines goals and objectives, determines how progress will be measured, and creates a schedule for in-person meetings, phone check-ins, and other communication. Effective coaching requires a plan of action and commitment to fulfilling it. Once the coaching process concludes, both coach and client revisit initial goals, determine how much progress has been made, and develop a plan to maintain and fine-tune new skills. An executive coach can help leaders at every level of leadership, but most companies only invest in executive coaching for their top-tier executives. A coach may be brought in to assist someone who is newly promoted to a top leadership position, or may be brought in by the CEO him- or herself to help define and provide direction for that role. Though it is rarer, executive coaches may be hired for the leader of an organization that finds itself in crisis. If, for example, a previous CEO dies unexpectedly, the company may choose to hire an executive coach for the new CEO to help minimize disruption and help leaders shepherd an organization through a healing process. The executive coach is not, however, a miracle worker. They cannot help ill-prepared, uninterested, or recalcitrant leaders, nor can they turn someone with promise into an instant leader. An executive coach cannot “fix” a toxic organization, or somehow make a warring group of executives get along with each other. Sometimes, organizations hire an executive coach specifically for an executive in a critical assignment, who is facing intensive time, budget, and results expectations. This type of “stretch assignment” coaching is intensive and often has highly specific goals relevant to a particular project of initiative the client has been put in charge of. Organizations may also hire an executive coach to help an executive enhance skills that confer a competitive advantage. In these cases, the coach helps the client acquire and develop skills that are geared toward driving stronger business and financial results. Whatever the reason for an organization to hire an executive coach, the coaching process should follow a planned, multi-stage process designed to promote self-awareness, will to change, and the competencies that bring individual and organizational performance to a new, higher level. The four major stages of the coaching process, though they are always personalized to the client, are awareness, analysis, action, and achievement. If all of these stages are given their due attention, businesses can have every expectation that their executive coaching client will demonstrate measurably better performance, improving business performance and making the overall corporate culture better. Some of the people who have benefited tremendously from executive coaching are people you have heard of (like Steve Jobs), and other are not. But whether a leader is in the public eye or not, the most effective ones know they didn’t get to where they are without significant support and help, often from an executive coach. How do individual leaders benefit from executive coaching? The ways are almost as diverse as the individuals. Clients can and should have high expectations for coaching outcomes. Richard Swanson, CEO of Nebraska Machinery found executive coaching to be instrumental in the development of the company’s talent management strategies, specifically in aligning team members’ capabilities with the overall business strategy, an alignment that resulted in sustained improvement in financial performance. It is no exaggeration to say that a great executive coach can facilitate a life-changing experience in the client who is invested in the process. And just to put an end once and for all to the idea that executive coaches are remediators, Jeff Bezos of Amazon, Eric Schmidt of Google, venture capitalist Ben Horowitz, and the late Steve Jobs of Apple have all enlisted the services of executive coaches. They know that effective coaching can make good leaders into exceptional leaders. What Does It Take to Be a Great Executive Coach? Think about some of the great sports coaches, like Tommy Lasorda, Pat Summitt, or Eddie Robinson. What do they have in common? First, they all have extensive experience in their sport, and a reputation for demanding the best from themselves and others. They have high expectations of those they coach, but they’re willing to learn new skills themselves in order to coach more effectively. Most of all, however, they are committed to putting in the work required to deliver outstanding results. The executive coach should demonstrate similar qualities. There’s nothing stopping a person from simply calling themselves an executive coach and trying to solicit clients. There’s no national or state certification or licensure program the way there is for doctors, for example. But the differences between being an executive coach and being an effective, outstanding executive coach are vast. For one thing, the best executive coaches know what it’s like to have skin in the game, because they, too have held leadership positions. They must have a broad and deep understanding of corporate psychology, of business, and of what leadership really means – and what it doesn’t mean. The most effective executive coaches have solid business leadership experience. When looking for an executive coach, many organizations go by word-of-mouth recommendations, because when an executive coach helps a business get terrific results, people notice, and people talk about it. Otherwise, many organizations look for executive coaches certified by the Association of Corporate Executive Coaches (ACEC) or the International Coach Federation (ICF). 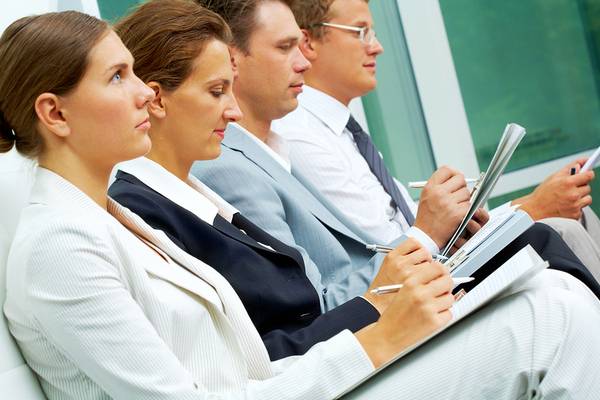 The ICF is the main credentialing body for training programs. Therefore, a coach who has trained in an ICF-accredited training program, is a coach who has met strong standards and understands the full hopes and implications involved in executive coaching. If you’re not passionate about helping clients achieve their own goals and solve their own problems, then perhaps becoming an executive coach is not for you. Likewise, you should bring something substantial of your own to the table. Maybe you have been a business owner, or a coach in some other capacity, and have first-hand knowledge and education in business. Don’t look to executive coaching as your ticket to making a living by giving advice, because that’s not what coaching is. Assuming you are passionate about helping leaders reach their full potential and have relevant knowledge and experience, your next step is undergoing coaching training. Training programs that are accredited by the ICF let you be confident that you will receive high-quality training that has been fully evaluated. Eminent executive coach John Mattone, who has coached Steve Jobs and other world-class business leaders, offers an Intelligent Leadership Executive Coaching Certification program that is accredited by the International Coach Federation and approved for 22.25 Continuing Coaching Education credits. Executive coach training programs differ, of course, but this one is a three-day, immersive program that focuses on four game-changing outcomes leaders can leverage: altruism, affiliation, achievement, and abundance. This particular program offers an optional year-long follow-up program to help coaches learn the finer points of executing the Intelligent Leadership Coaching Process. “Advanced” and “Master” level certifications are available to coaches who complete further requirements. The coaching education program you select should not be quick and easy, because coaching is an involved and personalized process that requires coaches to be able to establish unique relationships with high-potential individuals to their benefit. The coach-client relationship is a unique type of business relationship. Being an executive coach means working largely out of the spotlight so that executive clients are able to fulfill their potential and get the results their organization needs. 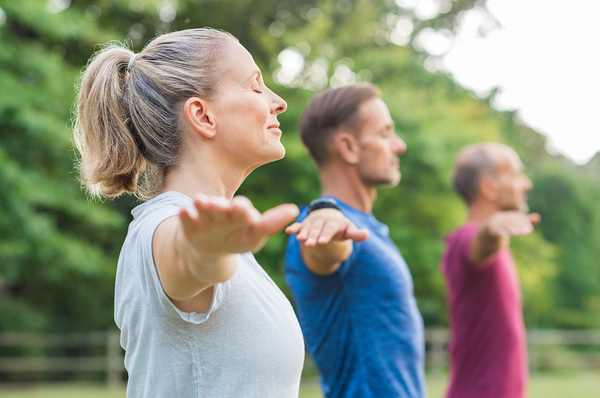 It isn’t something just anyone can do, and it requires commitment to continual personal improvement in order to help clients achieve their goals. Ideally, the work done between an executive leader and their coach creates something that is greater than the sum of their skills, resulting in a more effective leader and a stronger, more capable business or organization. As more businesses understand what coaching is and is not, what it can and cannot do, and who benefits most from coaching, you can expect executive coaching to become an expected part of the development of the world’s top business leaders. John Mattone is one of the most in-demand executive coaches in the world and has won numerous awards with his coaching, coach training, and books on leadership and corporate culture. If you want to learn more, whether as an executive or as an aspiring executive coach, check out John Mattone’s books on leadership and culture, as well as his American Management Association HR Briefs, one of which is on the topic of “Powerful Executive Coaching.” As someone who has long recognized the value of leadership coaching, John Mattone is uniquely positioned to not only coach today’s leaders, but to train tomorrow’s leadership coaches. Celebrity CEO – a type of CEO of a decade or two ago who was often also chairman of the board. These CEOs were often given outsized power and adulation, but the tide has turned in recent years, with more companies focusing on long-term results rather than fame. Executive coach – a business professional trained not only in business principles, but also in personal leadership coaching. The executive coach is to the CEO or other high-level executive what the championship boxing, opera, or acting coach is to their world-class client. International Coach Federation (ICF) – an international organization started in 1995 for fellow coaches to offer mutual support and bring attention to the profession. The organization now has a regional support structure designed to strengthen the global coaching community. Learning opportunities – otherwise known as “mistakes,” or “missteps.” Learning opportunities abound, and the right executive coach is adept at recognizing them and putting them to use to bring their clients’ performance to higher levels. Plan of action – a blueprint created by an executive coach and their client that outlines strengths, weaknesses, goals, objectives, and the steps to take to reach them. It is an essential document in the executive coaching process. Stages of coaching – Awareness, analysis, action, and achievement are the basic stages of coaching. All must be pursued, with some stages receiving more emphasis than others, depending on the client and their particular coaching needs. Stretch assignment coaching – coaching of the executive who has been given a task that stretches their current knowledge and skills and that will require them to learn and grow in order to succeed. Toxic organization – a business or other organization characterized by infighting, disharmony, poor communication, and “drama.” Toxic organizations cannot reasonably expect an executive coach to be the answer to their deep-seated problems. Leaders exist in innumerable contexts and circumstances. Yet even among leaders, some stand out and become iconic. From Simón Bolivar to Margaret Thatcher, some leaders inspire and provoke on a level that is exceptional. How are such leadership icons created? The key word is “created,” because despite some people seeming to have innate leadership potential, world-class leaders in politics, business, or humanitarianism don’t just spring onto the world stage fully formed. Time and hard work are both necessary. 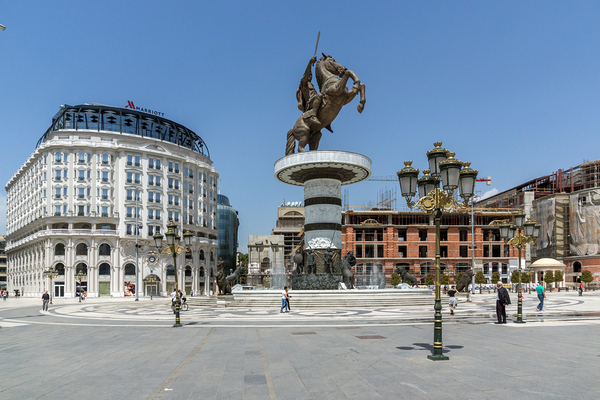 Though young, Alexander the Great was immersed in military intelligence education practically since birth. 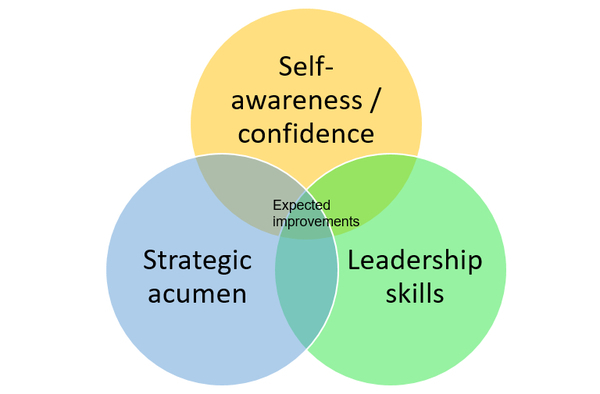 While an aptitude for leadership may give someone a higher baseline from which to start becoming a great leader, the greatest leaders are shaped internally and externally. They not only have the training and knowledge they need to lead in their respective fields, but also introspection, emotional intelligence, and the ability to work with people with widely varying personalities, backgrounds, and beliefs. Leadership coaching is a profession that assists individuals with their capacity to achieve both short- and long-term goals. It’s a personalized, typically one-on-one process that occurs over a defined time period, usually with specific, articulated goals in mind. 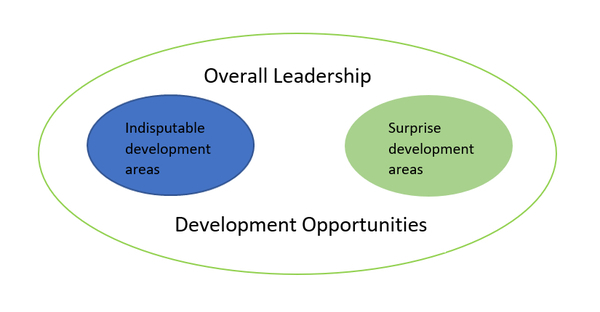 Organizations that invest in the particular type of leadership development that leadership coaches offer find that they strengthen their existing and emerging leaders, giving organizations a deeper “bench” that can be called on to meet organizational challenges. While leadership coaching can be provided by an internal coach, a supervisor, or even a colleague, typically leadership coaches are brought to an organization from the outside, due to their fresh, more objective perspective. Leading organizations regularly choose to bring in an external coach to work with their senior leaders. Gone are the days when a coach was only brought in to “rehabilitate” the leader who was going off the rails. Today they are seen for what they are: valuable providers who can take an organization’s leaders to a higher level of leadership, with benefits that can reach through all organizational levels, vertically and horizontally. As for “who” specifically they are, leadership coaches may hail from just about any business and personal background you can imagine. Many are former business executives, to be sure, but they often have something extra that they bring to the table, such as a successful side career, unique personal experiences, or a career trajectory that has not followed a traditional path. In other words, you can’t really choose a leadership coach the way you do, say, a can of soup on the way home from work. Finding the right leadership coach is going to require time, research, questions, references, and follow-up. The right leadership coach for your needs is out there, and rest assured they are worth the time and effort you put into locating and selecting them. Don’t sell yourself or your organization short by sticking to the old thinking that leadership coaches were only needed for “fixing” problem leaders, like someone who arrived at their position through nepotism who doesn’t have anywhere near the right skill set or experience. That may make a good premise for a sitcom series, but successful businesses know better. In reality, leadership coaching concentrates on enhancing the performance of leaders at any organizational level. Most businesses, however, are only able to invest in leadership coaching for leaders at or near the top. Leadership coaching is almost universally pursued as an investment in further development of highly competent leaders. A majority of Fortune 500 CEOs are estimated to have their own personal coaches. They already have the education and training they need to handle the technical demands of their role, and they may show outstanding leadership potential, but they (and their organizations) know that becoming a true leader will happen faster with the help of a one-on-one leadership coaching relationship. The type of focus and candid feedback provided by a leadership coach simply isn’t available to many leaders at the highest levels of the corporate hierarchy. Therefore, “blind spots,” and lack of key leadership competencies can go unnoticed, holding back both the leader and the rest of their organization to fulfill their potential. In short, the right leadership coach teaches top executive how to truly lead. Furthermore, they help executives practice leadership skills and techniques so they become almost a reflexive action when those skills and techniques are needed. There are many parallels between leadership coaching and sports coaching of world-class athletes. Coaching addresses a custom blend of personal, business, and organizational needs. What Kind of Training Is Involved with Becoming a Leadership Coach? Theoretically, anyone could print up business cards and call themselves a leadership coach. But the leadership coaches you want to invest in for your top leaders is one who has not only established their own leadership capabilities, but has also undergone the right combination of coaching training and experience to be able to address your needs. Coaching training programs vary, of course, but the ones that help people become effective leadership coaches examine and teach proven coaching principles and best practices. They typically offer extensive personal assessment tools to help emerging leadership coaches to understand how they are perceived, and train coaches on competencies involving how to think and what to do as a coach. 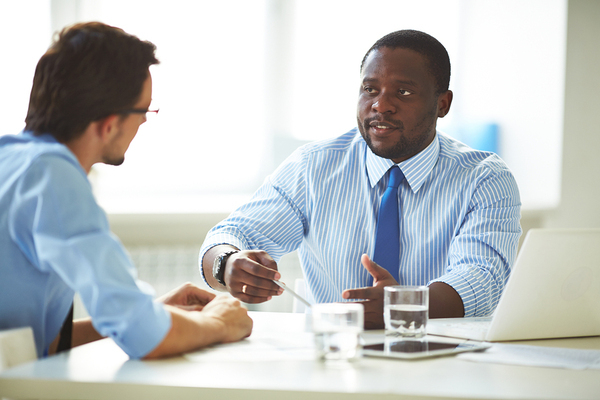 Effective leadership coaching training helps people learn to adapt their coaching practices to the specific needs of the leaders they will be coaching, using techniques like mirroring, guiding, and facilitating productive conversations. Programs also teach methods of overcoming common challenges coaches face, like how to deliver sensitive feedback in a constructive manner. Hundreds of coaching training programs exist, and the most effective ones are generally ones accredited by organizations like the International Coach Federation (ICF) and the Association of Corporate Executive Coaches (ACEC), which establish several criteria for training programs. What Types of Issues Can a Leadership Coach Help With? 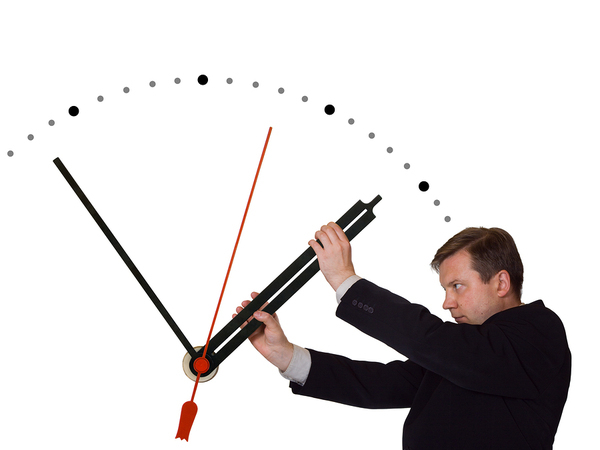 Excellence in time management is one of countless skills leadership coaches can help clients with. In addition, leadership coaching may be called upon because of a specific event, such as a recent or upcoming merger or spin-off. Perhaps one department is absorbing another department, and the leader of the conglomerate department suddenly leads twice as many people. The point is, whenever the answer to an issue is (in whole or in part) “better leadership,” then leadership coaching can be beneficial. What Is It Like to Work with a Leadership Coach? The relationship between a client and a coach is a partnership. The coach is not the “expert” teaching the “student” executive in the way of executive wisdom as set out in some comprehensive leadership manual. Rather, both have expertise. The client is the expert concerning the organization, and the coach is the expert in helping the client maximize potential. How this is done may follow a particular coach’s proven techniques, but it is always customized to both the organization and the individual. Here are some ways in which coach-client relationships proceed. Throughout, the coach maintains strict confidentiality in the coaching partnership. While the business or organization is the “official” client who pays the bills, the individual is considered the real client. 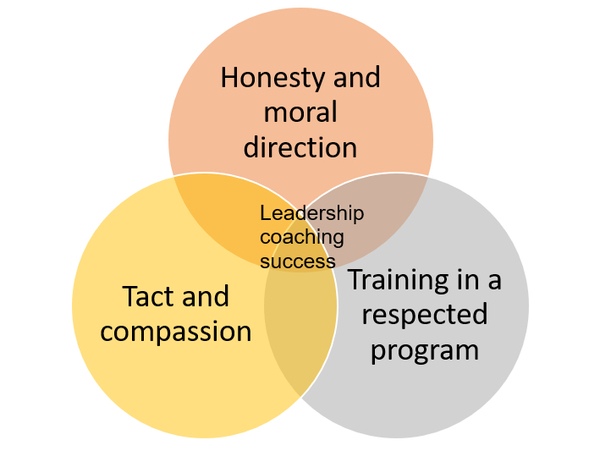 What Results Can Someone Expect from Working with a Leadership Coach? Organizations can expect not only improvement in the specific coaching client, but throughout the organization. Can a leadership coach turn around a completely derailed coach in a failing organization? Probably not. Coaches can do a lot, but they’re not miracle workers. In the best scenarios, leadership coaches help executives and other leaders who want to excel to do so in order to improve both themselves and their organization. When this happens, the benefits ripple outward, throughout the organization. Often, it leads to a significantly healthier organization, with many more people than just the coaching client experiencing better performance and stronger motivation. The client should also expect their goals to be addressed during the coaching process. If the client says, for example, “I want to learn how to delegate better,” then by the end of the coaching process, they should be regularly demonstrating improved delegation. 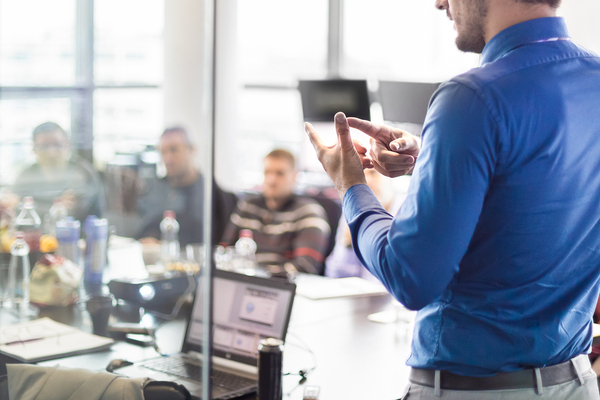 If a client wants to improve their presentation skills, they should have had several opportunities to put new presentation skills into practice during the coaching relationship. The client’s goals should never be ignored or given short shrift. What Should Someone Not Expect from Working with a Leadership Coach? Clients should not expect their coaches to offer them the technical guidance they need to do their job. Even if the coach happens to have the same technical background as the client, that’s not what leadership coaching is for. Coaching relationships assume that the client is fully qualified for their position. Neither is coaching career counseling. The client who isn’t sure that being an executive is the right career for them in the first place won’t get much from the coaching relationship. 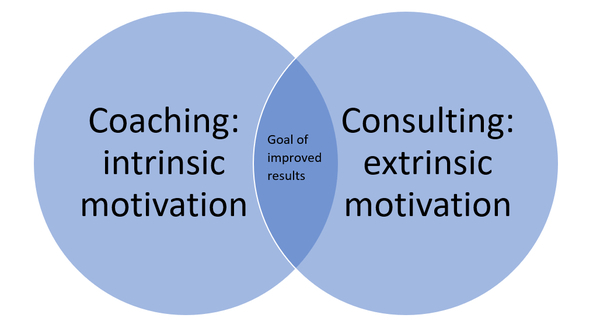 And while the coaching process shares similarities with consulting, generally consultants are brought in as experts on a particular problem they have been hired to solve. 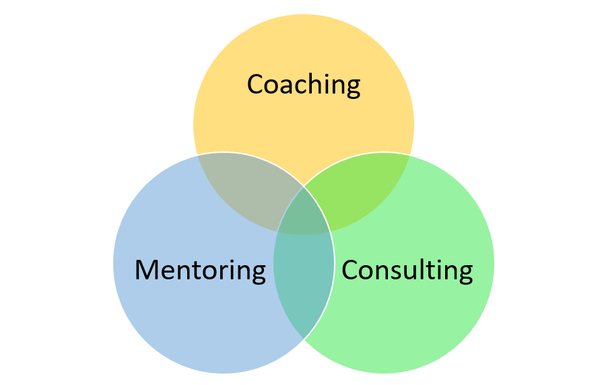 Coaching, mentoring, and consulting have some overlap, but each has its own goals and techniques. Coaching and mentoring are not the same thing. Mentors often have years- or decades-long relationships that naturally ebb and flow as the mentee develops as a professional. Mentoring is generally less formal and involves more sharing of company- or industry-specific wisdom. Coaching, by contrast, is typically done for a defined time period, and the skills and techniques developed through leadership coaching tend not to be organization- or industry-centric. Coaching is not training. Returning to a sports analogy, a trainer helps a pitcher develop and perfect the different types of pitches, but the coach helps the pitcher know where and when to put those specific skills to work for the betterment of the team. Training is critical, of course, but it generally involves less introspection than coaching does. What Are Some Different Types of Leadership Coaches? There are probably as many “types” of coaches as there are coaches, because leadership coaches aren’t categorized. Each coach has their own specific style of communicating and working toward goals. Different coaches may operate on different psychological depths with their clients too. For example, some coaches may focus more on skill refinement, while others may dig a little deeper to understand the motivations behind performance, and why certain competencies are necessary. Different coaches and clients operate at different, personalized psychological depths. Other coaches focus more on reflective and experiential learning, helping clients improve their emotional intelligence to improve their leadership style. This type of coaching relationship may deal with psychological or emotional “blind spots,” bad habits, or the uncovering of hidden agendas. Clearly, this requires a different approach and different techniques compared to the coach who has been brought in to help a client develop better communication or presentation skills, for example. All coaches work with their clients and others in the workplace (while maintaining confidentiality) to define and address performance gaps and reach a defined set of goals. All of them include accountability as part of the coaching process. Why Is John Mattone Unique among Leadership Coaches? The most effective leaders set ambitious goals, and challenge their employees to help meet them, giving them the appropriate autonomy to do what they do best. This type of corporate culture substitutes “yours” with “ours,” helping everyone develop a sense of being in it together rather than each person being a replaceable cog in a huge corporate machine. John Mattone is an expert in corporate culture, having written several books on the subject. He is also an extensively experienced leadership coach. As one of the world’s most in-demand CEO coaches, John was recently named one of only eight finalists for the 2017 Thinkers50 Leadership Award, which recognizes the world’s top leadership authorities and influencers. He has received honors from executive coaching peers through the Association of Corporate Executive Coaches, and won the 2015 International Executive Coach Thought Leader of Distinction Award. That same year, John Mattone’s Intelligent Leadership program was named, along with programs by Tony Robbins and John Maxwell, as one of the top three Advanced Leadership Development Programs that Change Lives. His Intelligent Leadership Executive Coaching Process is an immersive leadership and personal growth journey lasting six to 12 months. It is designed to unlock each client’s full potential, based on a leadership blueprint he developed himself, and in which he certifies other world-class executive coaches. John Mattone not only has the experience and developed expertise to be a globally respected coach, but he has also taught many other world-renowned coaches. Worldwide demand for leadership coaching has never been greater than it is today. That is because enough globally influential and successful organizations have experienced for themselves the positive difference that leadership coaching has made to individuals and to their organizations as a whole. Business moves at a faster pace than it ever has, so leaders must be able to cope effectively with change, and who can guide their organizations in a rapidly evolving business world. John Mattone is a globally respected leadership coach who is ready to take individuals and the organizations they work for to a higher plane of leadership and operation through his leadership coaching services. Executive coaching may be regarded differently by different people. While there may still be some people for whom the concept of “coaching” may carry connotations of remediation, for the most part, this outdated idea has fallen by the wayside. Executive coaching is assisting top executives, managers, and other identified leaders to perform, learn, stay healthy and balanced, and effectively guide their teams to successfully reach desired goals and exceed individual and corporate expectations. Enabling leaders to unlock and unleash their full-potential so they bring greater value and abundance to the people and entities they serve. Rarely do organizations invest in coaching except for highly valued talent. Excellent coaching doesn’t come cheap, and no organization is going to make the investment in a top executive coach for a person they don’t believe in, or hope to be rid of in a year or two. Basically, if your company wants you to have an executive coach, you can take it as a vote of confidence that they think you’re capable of great things, and they hope to keep you around for the long term. Bringing in a coach represents a certain kind of risk to an organization. An executive coach is expected to be unbiased, and free of favoritism, and this level of honesty can sometimes create sensitivities among the executive team. But most businesses recognize that investing in their leaders produces a positive, lasting return on investment. Here is what you can expect from executive coaching, whether you’re the executive, or you represent the business interested in investing in executive coaching. Many people wonder whether coaching and mentoring are the same thing. While there are similarities, a coach and a mentor do different things and have different motivations and end goals. Generally, mentoring helps to shape a professional’s values and beliefs, typically from the point of view of someone in the industry (or same company) who has “been there and done that” and is willing to share wisdom amassed over the years. A coach helps the client to improve self-awareness, set goals, work toward them, and improve specific aspects of performance. More specifically, a mentoring relationship typically has the following characteristics. The mentor relationship is generally an ongoing relationship that may last for years or even decades. Frequently it involves informal sharing of information when the person being mentored needs support, guidance, or advice. Mentors are often more experienced versions of their mentee, working in the same profession, or even in the same company. The focus of mentoring is development of the mentee’s career and personal development, with the agenda largely set by the mentee. Coaching relationships differ in that they usually have a set starting and ending point. Meetings between coach and client are typically structured and scheduled, and focus on specific developmental or leadership issues. Coaches are generally brought in from outside the organization and may or may not have the same set of skills as the client. But that’s OK, because the focus is on specific developmental issues in the workplace and on achieving specific goals. 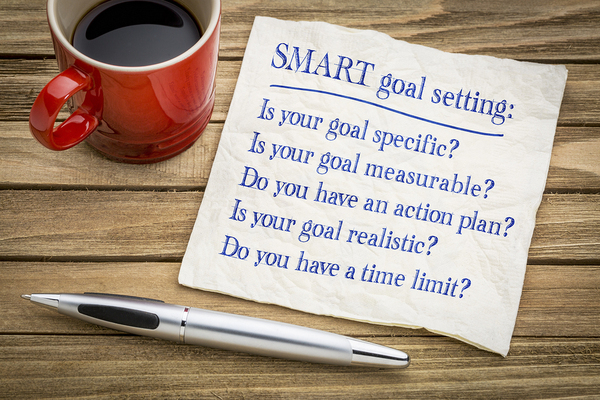 Goals vary, but may include learning to effectively delegate, or improving communication skills, as examples. 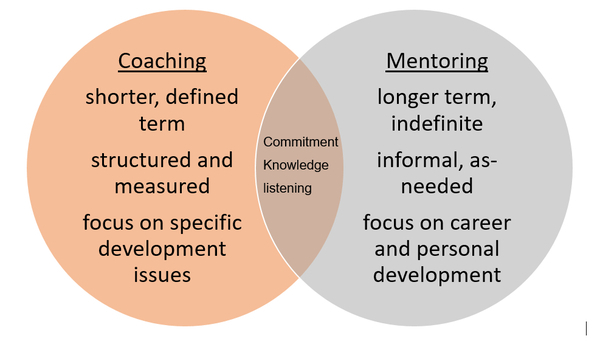 The following diagram shows the differences and overlap between mentoring and coaching. It only makes sense that the thirty-ish executive who has zoomed up the career ladder has different coaching needs than the 50-year-old who has been in the industry since college. Often, but not always, the younger leader needs more nurturing and more directness, while the older leader is often more aware of deficiencies that need to be addressed. 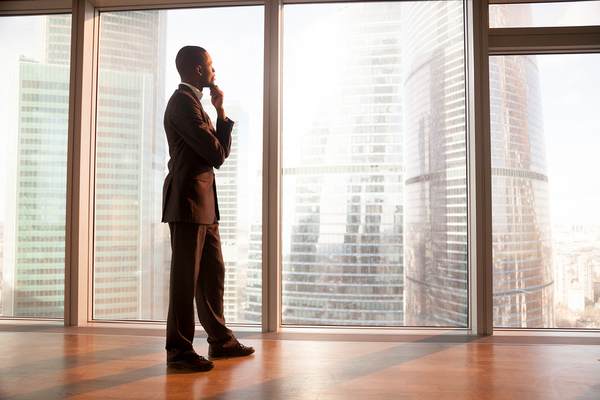 Goals and needs differ between the young executive and the more mature executive. A study of 72 executive coaching relationships covering the period of 2008 through 2014 examined executive scores on personality and emotional intelligence tests, interviews with their superiors, and case notes. The average length of the coaching engagement was six to 12 months, and there were slightly more male coaching clients than female. The study found that regardless of gender, younger executives (in their thirties) had lower levels of self-reflection than older ones, and the changes they underwent were less dramatic than the changes of older executives. Younger executives responded to specific guidelines and concrete recommendations, but they were less likely to wonder why those guidelines and recommendations were necessary. Younger executives often have a self-perception of being a “winner,” and are likelier to think of coaching as a perk of being at the top. Younger executives were likelier to believe that there is one right way to do things, while older executives were more willing to try different approaches. Making coaching work requires that organizations and the people running them prioritize coaching. Executive coaching should never be treated as an afterthought or an “extra,” but as an essential part of developing maximum leadership potential. At the same time, it’s important that companies not overuse coaching or think that coaching is capable of solving deeply entrenched organizational (or personal) problems. Coaching can be remarkably powerful, but it can’t do the impossible. Benefits of executive coaching may carry over into non-work life as well. In addition, many coaching clients indicate that they come away from their coaching engagement with better social skills, a growing professional network, a better reputation online, and a better non-work life as well. The specific improvements that a coaching client should expect as a result of coaching will have to do with their goals. In addition to helping the client develop those goals, the effective executive coach will devise ways in which progress toward goals can be measured. For example, if an executive has difficulty delegating tasks, the coach may interview several people who report to the executive to define the scope of the problem, help the client define what “better delegation” means and how it can be measured, and then follow up at the end of the coaching engagement to measure progress toward that goal. 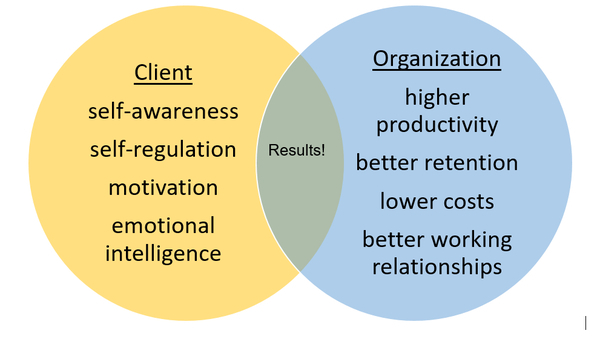 The following diagram illustrates the benefits that both coaching clients and their organizations can expect from executive coaching. The most successful executives aren’t investing in executive coaching when they ask for my services – they’re investing in results. Over my decades of experience as an executive coach, I developed the Intelligent Leadership (IL) Executive Coaching Blueprint. With my clients, I create a six to 12-month immersive leadership coaching journey that leads to business results and personal growth. I want my clients to unleash their full potential, so they can be the best possible leaders they can be. These four qualities are the seeds that lead to sustained greatness and a positive, lasting legacy as a leader. The process begins with a meeting between the coaching client and the sponsoring executive team to discuss the goals of the coaching relationship and gain context and background information. We also discuss the proposed roadmap of how we will get there, and what type of schedule to expect. For executive coaching to get results, a clear plan is necessary. At this point, I spend the rest of the day with the executive client so we can get to know each other as professionals and human beings. The purpose of this time is to build a foundation of trust and rapport. Using my general observations, a structured, in-depth interview, and objective assessment tools, I assess the client’s inner- and outer-core capabilities. With most clients, I also schedule in a day of shadowing, where I observe them at work, on calls, and in meetings. In addition, I conduct what I call 360-degree interviews with key stakeholders, who may include other executives, board members, people who report to the client, and a selection from the larger population of employees. 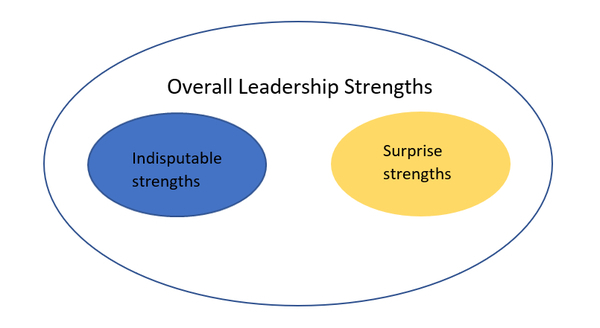 From these interviews, and my Strategic-Tactical Leadership Index 360-Survey I identify the client’s leadership strengths and where there’s opportunity for improvement. On another day, we debrief and discuss the results of the assessments and the themes that have emerged from them. The next step in the coaching relationship is helping the client create their own Core Purpose Statement that they envision themselves living by. This statement captures the essence of the person and the leader the client wants to become, which qualities they must develop in order to do so, what they want to accomplish, and the contributions they want to make. These statements must be defined with utmost clarity, because they affect every other phase of the coaching relationship. With my support and presence, the client then meets with their constituents and stakeholders individually and collectively to share their commitment to become the best possible leader – which can only happen with the support, guidance, feedback, and input of these constituents and stakeholders. The information collected in these meetings is helpful in finalizing the client’s leadership development plan. Ongoing performance coaching, support, and guidance from me, along with frequent interaction with stakeholders and constituents helps the client measure the progress they are making toward the goals of their leadership development plan. Does Executive Coaching Work for Everyone? Sometimes executive coaching doesn’t work out, and there are some common denominators when this happens. For example, an executive who doesn’t want coaching is unlikely to make good progress, and if the client’s superiors aren’t invested in the coaching process it’s even worse. Another reason executive coaching can fail is a lack of clear and measurable goals, or goals that the client developed thinking they represent what their supervisor wants them to work on. The goals in executive coaching should be ones that the client wants passionately. When a client is less than forthright when providing information for the coach to develop the plan of action, coaching can go off-track. Lack of clear, measurable goals can severely limit the results of coaching. When coaching is used by an organization as a last-ditch effort for an executive who is faltering and needs “saving,” the whole point of coaching has been missed. Coaching as a response to a monumental mistake runs the very real risk of coaching being seen as a punishment. And even if it’s not, when coaching is the last resort, it is often ineffective. Confusion between coaching and mentoring may result in less-than-stellar results. 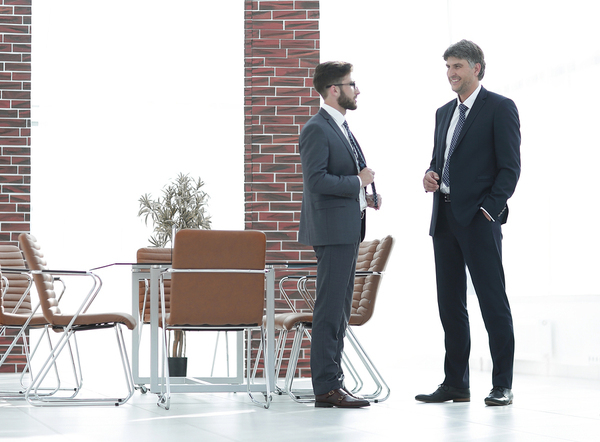 There’s certainly much to be gained from a successful mentor-mentee relationship, but expecting a mentor to get the same results as a leadership coach is short-sighted. Finally, coaching can fail because a coach isn’t sufficiently qualified for the job. There are plenty of self-appointed coaches out there who see coaching as a side business or a way to bring in money. Coaching certification programs exist, and some are more meaningful than others. But primarily you need to select an executive coach who has experience and success in coaching clients similar to yours. How Do You Recognize Results of Executive Coaching? What do you envision when you think about your organization one year from now, with one of your most promising executives having successfully completed executive coaching with a qualified coach? Perhaps you envision greater efficiency, less in the way of divisive office politics, or clearer goals and objectives. Maybe you envision everyone showing up to work with greater motivation and more commitment. Those are worthy aspirations, of course, but it’s important to develop goals that can be assessed as a baseline at the beginning of the coaching relationship, and after coaching is completed. Any executive coach worthy of the title will assist your client (and the executive team in general) to define goals. They will also help you and your client devise ways to measure how well those goals are met. The interviews that the executive coach performs at the beginning and at the end of coaching should tell a clear story too. If direct-reports say at the outset that the client doesn’t articulate expectations clearly and this is distressing, what do they say once coaching has concluded? Recognizing the results of executive coaching requires engagement with an experienced, skilled coach who knows how to develop and define goals, measure baseline conditions, monitor progress, and assess conditions at the end of the coaching engagement. If your proposed coach doesn’t seem interested in these critical tasks, you shouldn’t expect too much from them. An executive coach you consider working with should be crystal clear about their process and willing to share results of having used that process. 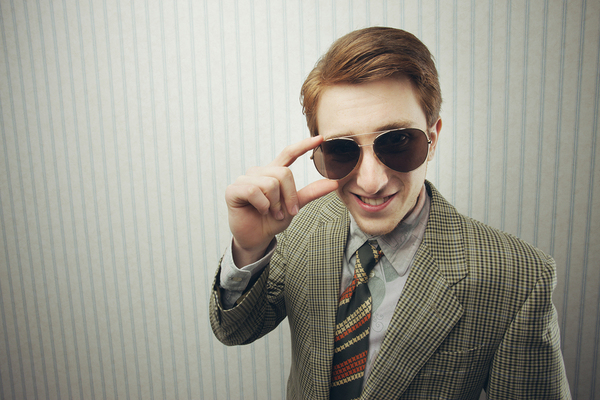 Evasive responses, or overweening enthusiasm may indicate that the person is more style than substance. A great coach is honest about gathering feedback and understands the important of having a unique, outsider’s point of view. Feedback should come from not only the client, but also the client’s supervisors, peers, and direct reports to ensure the clearest picture emerges. A great leadership coach won’t give you evasive or unrealistic answers to your questions. Your coach should be able to discuss their skills in depth and detail. What tools do they use? 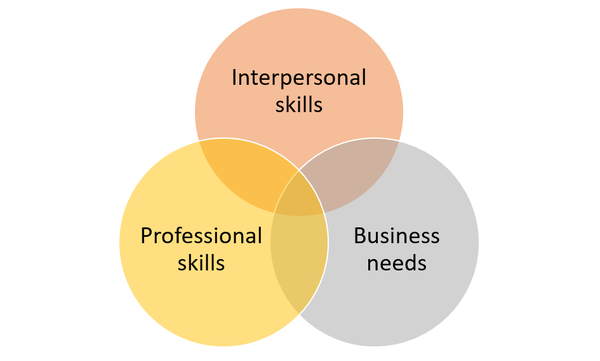 What specific skills have they helped previous clients with? They should be proud to share references with you and name actual clients who have improved in measurable ways. Finally, you should choose a coach that understands the importance of client confidentiality. A coach who casually shares everything with a client’s supervisors or HR people will shatter the client’s trust and cast a pall of negativity over the entire process. Stakeholders – in this context, the people affected by the actions of the coaching client. 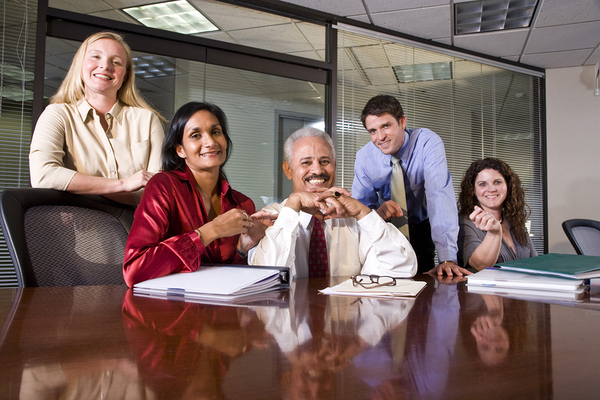 They may include the coaching client’s peers, supervisors, direct-reports, or other employees.